Along the bottom of the stands, metal folding chairs are used! 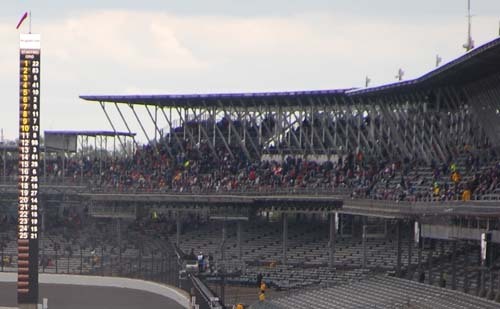 Stand B is the track's second grandstand, originally built in 1910. The current version was built in 1954 and renovated in 2003 and 2016. Above is how Penthouse B looks like after the 2016 rebuild. Notice the 3-row upper deck that was added. 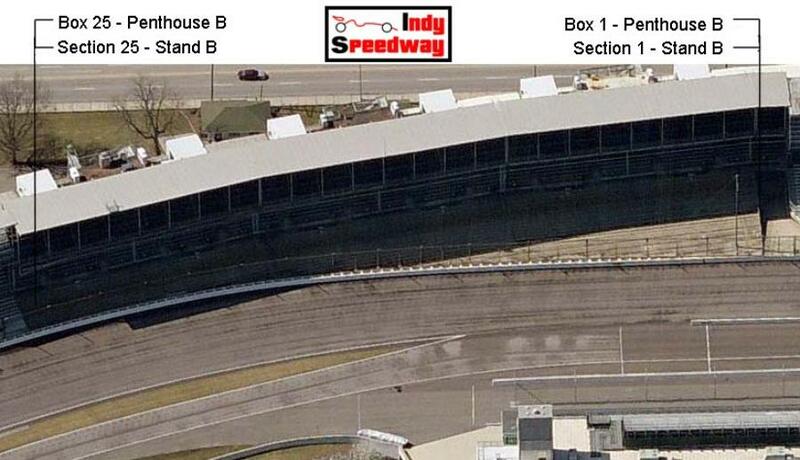 Below shows how the new roof over B Penthouse appears. 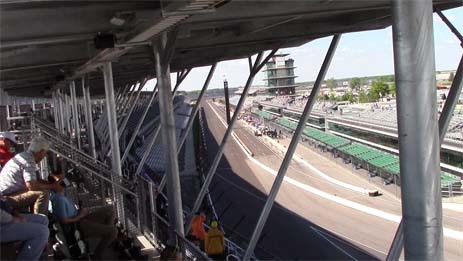 the front straight toward Turn 1. 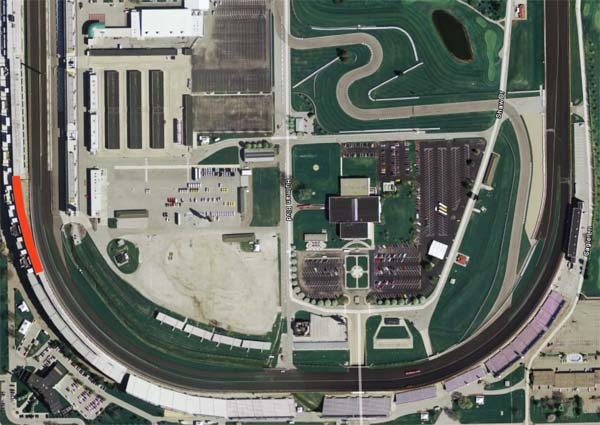 It has a view of the front straight and Turn 1. The Penthouse level has a roof. 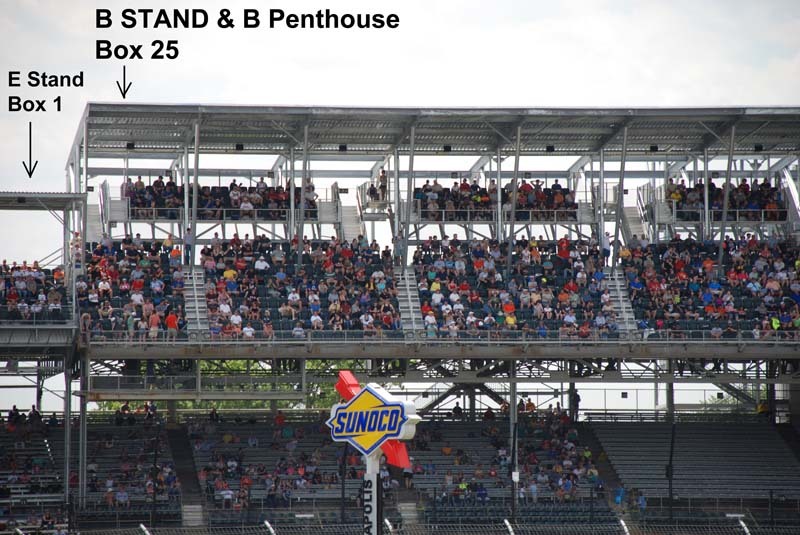 The Penthouse acts as a roof for the back upper half of STAND B. The front rows that have no support struts to block sight lines. Will be in the sun early in the day. 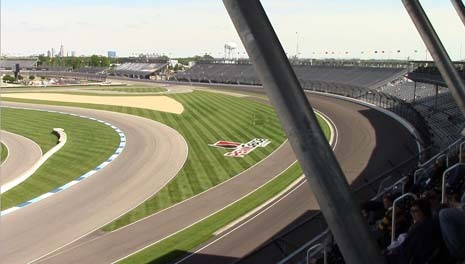 south end where the roof of Penthouse E blocks the view of Turn 1. Notes: Elevators were installed in 2016 and some seating was made available for wheel chairs. The fold up chairs were replaced with stadium-style chairs. There are bathrooms and concession stands up there. Seat 1 is on the aisle. STAND B is divided into Boxes, randing from Box 1 at the northern end and going up to Box 25. 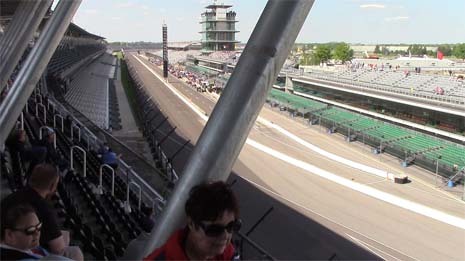 Rows Q - Z are in the upper part of the stand and consists of aluminum stands with backrests. Rows E - P are in a lower section and contains fold up chairs. The number of rows vary from box to box. Each letter consists of two rows - the first row cotains seats 1-12, 2nd row is seats 13-24. Front lower rows, not protected from rain, but will be in shade later in the afternoon. Higher rows are protected from rain. Only top half protected from morning sun. This is the new upper tier created in 2016. 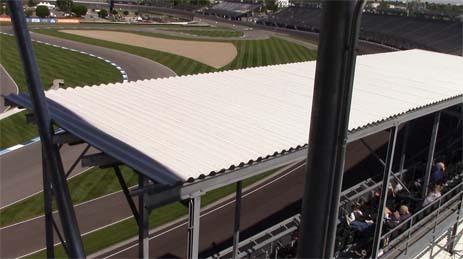 On the right, the roof of E Penthouse blocks the view of Turn 1!